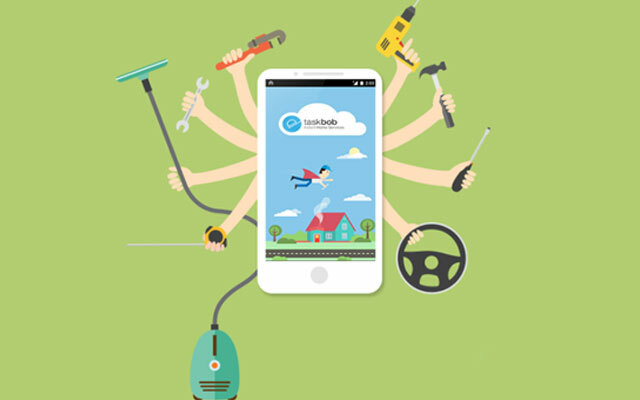 Consolidation in the online home services segment has started with Mumbai-based Crenovative Ideas Pvt Ltd, which operates home services startup Taskbob, acquiring Mumbai-based Zepper Services Pvt Ltd. The acquisition allows Taskbob to enter the lucrative but intensively competitive Bangalore market, where it hopes to launch its services within a month. In the Bangalore market, Taskbob will now compete with HouseJoy along with Timesaverz, which is also one of its competitors in the Mumbai market. "In the recent past, the hyperlocal home services industry has seen exponential growth fragmented with multiple players and poised to become the next centre of growth. Our acquisition of Zepper, signals the beginning of consolidation in the industry," Aseem Khare, founder and CEO of Taskbob said in a statement. Khare declined to disclose the terms of the deal and only said it was an "asset merger deal". The acquisition comes at a time when the online home services segment is seeing increased competition with more than 10-15 funded players in the fray. According to Khare, the broader hyperlocal services space, of which home services is a subset, is estimated at $ 50 billion with almost 70 startups competing for a slice of the pie. As part of the transaction, Zepper's enrolled network of 300-400 service professionals catering to 2500 customers will now be accessible to Taskbob. Taskbob plans to scale up in the Bangalore market to 1,000 orders a day in the next 6-9 months, Khare added. "The market is huge. Our focus on selecting only the top 20 per cent of servicemen and training them extensively ensures a high quality service and that would help us make heavy inroads in Bangalore," Khare told Techcircle. "Our unit economics are becoming better day-in and day-out and our immediate focus is to take various strides in that direction," Khare said. The company, which is yet to turn profitable, wants to expand into other cities as part if its growth plans, and inorganic growth is the fastest way to achieve that. Founded by IIT Bombay graduates Khare and Abhiroop Medhekar in November 2014, TaskBob connects users to pre-screened professional servicemen to fix household appliances such as air conditioners, washing machines, computers and refrigerators. Taskbob currently handles 700 orders per day in Mumbai and hopes to reach around 2000 orders per day in the next 6-9 months in Mumbai.Taskbob started off with an app-only model and subsequently opened a mobile site, a website and a calling feature to provide for multiple channels of approach. However, the calling feature would soon be discontinued, said Khare. Zepper was founded in October 2014 by BITS Pilani graduates Akash Goel and Zia Arif along with former Goldman Sachs equity analyst Danish Arif. In April, Taskbob secured $1.2 million (Rs 7.5 crore) in seed funding led by Orios Venture Partners with participation of Mayfield India. The broader local services category is becoming a hotbed of consolidation activity and investor traction with a bunch of players in the space securing funding from investors. A week earlier, hyperlocal grocery delivery app Grofer acquihired food delivery mobile app Spoonjoy and on-demand hyperlocal delivery player Townrush. In October, Gurgaon-based Easyfix Handy Solutions Pvt Ltd, which operates an online aggregation platform for home maintenance and repair services under EasyFix, raised an undisclosed amount in its first round of institutional funding from Axilor Venture Capital, a seed stage investment and incubator set up by Infosys co-founders SD Shibulal and Kris Gopalakrishnan. In the same month, The Economic Times had reported that Amazon was in advanced stage of talks to acquire a stake in HouseJoy. Fixy, a Mumbai-based startup that provides maintenance services on demand, had raisedseed funding from members of VentureNursery, an angel-backed accelerator for startups in September. Another on-demand home services startup DoorMint raised nearly $3 million in Series A funding led by Helion Ventures and Kalaari Capital recently. Other companies which raised funding include UrbanClap (Accel Partners and SAIF Partners), LocalOye (Tiger Global and Lightspeed), Qyk (Zishaan Hayath, co-founder, Toppr.com; Abhishek Goyal, co-founder, Tracxn.com; and Delhivery co-founder Sahil Barua), Near.in (led by Anupam Mittal, CEO of People Group and Manish Vij of Smile Vun Group), FindYahan (led by Karan Bajwa, managing director of Microsoft India), TaskBob (Orios Venture Partners & Mayfield India) and UrbanPro.com (Nirvana Venture). These also compete with Just Dial, the top player in the local services search market. Crenovative Ideas Pvt. Ltd. Taskbob Zepper Services Pvt. Ltd.